What better way to fund your camping trips than to start a camping related business through affiliate marketing? Cotopaxi is a Certified B-Corp that creates amazing outdoor gear and gives 2% of their revenue to alleviate poverty. They work with organizations like Educate Girls, Rescue Committee, and Proximity Designs to provide education and health in developing countries. They sell everything from outdoor clothing, backpacks, sleeping bags, water bottles, and more. Free shipping is available on all orders over $99 and all products come with a lifetime warranty. They use AvantLink to manage their affiliate program. Cotopaxi provides their affiliates with a large selection of text links, banners, and their product feed. Their responsive affiliate manager is available to help maximize your sales. Custom partnerships and promotions are available upon request. They also offer increased commissions or bonuses for special sales incentives. Customers receive great perks like a lifetime warranty on all products and free shipping on orders over $99. Affiliates get access to a great selection of marketing tools and assistance on how to increase sales from their dedicated affiliate manager. LifeStraw filters remove 99.9999% of bacteria and 99.9% of protozoa. Their products do not use any chemicals, require any pumping or energy input like batteries to work. They are easy to clean and meet US EPA drinking water standards. All of their raw materials are BPA free and US FDA compliant. They offer free shipping on all orders in the United States. They are interested in partnering with websites focused on camping, hiking, backpacking, emergency preparedness, and other relevant communities. The average order size is $75 with a website conversion rate of 2%. LifeStraw uses AvantLink to manager their affiliate program and give access to creative, tracking tools, and issue affiliate payouts. For every LifeStraw sold, they donate an entire school year of clean drinking water to a school child in Africa. CampChef prides themselves on being a premier source for outdoor cooking equipment. They have over 20 years of experience in the outdoor cooking industry. Their extensive selection of premium products allows them to cater to all types of price ranges and needs. They’ve optimized their website for a great customer experience and high conversion rates. CampChef uses Commission Junction to manage their affiliate program and provide their affiliates with all the tools they need to market their products. They offer everything from basic banners, industry leading data feed technology, RSS feeds, and dedicated affiliate support. They offer no hassle returns and an average order size of $88. CampChef optimized their website to provide a better user experience and high conversion rates with means more commissions for their affiliates. InstaFire was featured on Shark Tank and is a Mark Cuban and Lori Greiner company. Their fire starter kits start fires fast and burn up to 15 minutes. It even burns on water and in 30-49 mph wind. They are lightweight so they don’t take up a lot of room in your camping or backpacking gear. Their average website conversion rate is 2.7%. Their affiliate program is open to affiliates with websites with 50k+ visitors per month, a large 30k+ email list, or 50k+ social media followers. Their affiliate management team will work with you design special offers or email sales for your followers. InstaFire uses ShareASale to manage their affiliate program and give access to creative, tracking tools, and issue commission payouts. It’s important to note, affiliates must have a certain amount of visitors or followers to be accepted into their affiliate program. Ramsey Outdoor has been catering to the needs of outdoor enthusiasts for the last 55 years. They specialize in camping, backpacking, hiking, fishing, hunting, and all the clothing and gear you need to enjoy the great outdoors. They owe their success to their wide array of innovative products, great customer service, and by supporting their community and customer base. Their average order size is over $80.00. They offer free ground shipping on all orders over $74. Affiliates can promote products from more than 450 of the top brands in the Outdoor Industry including Patagonia, Carhartt, Columbia Sportswear, PolarMax and more. Ramsey Outdoor has partnered with AvantLink to run their affiliate program. The free shipping option on orders of $74 or more helps increase order sizes which means higher commissions for affiliates. Gear Co-op was the first national outdoor retailer to offer free 2 day shipping. They are also the only retailer to offer free 2 day shipping, free return shipping, and a lifetime guarantee. Some of the top brands they carry are Marmot, The North Face, Mountain Hardwear, Patagonia, and Adidas Outdoor. They have gear for all types of outdoor activities including hiking, camping, rock climbing, trail running, and snowboarding. Affiliates earn 7% commissions on sales & clearance items, 8% on gear, and 9% on clothing and footwear. Top performing affiliates can earn commission rates of 11% or higher. The average order value is $120+. Gear Co-op uses AvantLink to manage their affiliate program and give access to their complete SKU Data Feed, marketing materials, and tracking tools. Top affiliates can earn 11% or higher with average order values of $120+. They offer generous base commissions which vary by category. RockCreek.com is one of the fastest growing online outdoor specialty stores. Their dedicated staff are outdoor enthusiasts themselves and experts in outdoor gear. They only offer the very best in outdoor equipment and apparel from the top brands in their shop and online store. You can find high quality outdoor gear for all types of outdoor sports including kayaking, hiking, adventure racing, camping, trail running, and more. They use AvantLink to run their affiliate program. Affiliates have access to marketing materials, raw data and dynamic solutions data feeds, one-on-one affiliate technical support, and dedicated program management. Performance incentives are also available to affiliates with high sales volumes. It’s important to note that Coupon and Deals sites only receive 4% commissions. Performance incentive are available to top performing affiliates. Bushbuck Outdoors designs tough, durable clothing and gear for outdoor enthusiasts and hunters. They are an outdoor e-Commerce shop based in New Zealand that ships internationally. They eliminate the middleman and sell their products online directly to consumers to deliver the absolute best quality gear at the best price. They also sell tents, camping equipment, clothing, hunting gear, and more from top brands at great prices with aggressive coupon and sale campaigns. Affiliates can promote their links on their website, email lists, social media accounts, and to their friends and family. The average basket value is over $130 with high conversion rates of 10%. Bushbuck Outdoors uses Refersion to manage their affiliate program. Affiliates have access to exclusive coupon codes, static banners, promotions, and other marketing materials. While Bushbuck Outdoors is based internationally in New Zealand, they do offer affordable international shipping costs and they accept Visa and Mastercard payments. Outdoor Vitals challenges outdoors enthusiasts to Live Ultralight by using premium ultralight products that eliminate waste. Their premium ultralight products allow their customers to hike faster and go farther. They design their gear with very high standards to allow you to enjoy your adventures in any weather. Outdoor Vitals sells directly to consumers online so you don’t have to spend a fortune to enjoy the outdoors. They also donate 1% of revenue to sustainable poverty projects all over the world. They have worked hard to optimize their site for high conversion rates which means higher sales commissions for their affiliates. Outdoor Vitals partnered with AvantLink to give their affiliates a robust set of tools and the best support in the business. Along with their high quality gear, you can also promote their limited lifetime warranties on all products and free shipping. Outdoor Vitals offers their customers direct to consumer prices and a limited lifetime warranty. Affiliates benefit from their high conversion rates on their optimized website. Paragon Sports has been selling quality sports equipment and clothing since 1908. They take pride in their great selection of well known brands along with unique, exceptional brands you might not be familiar with yet. Their product inventory includes over 30,000 products in hundreds of categories from 300+ different name brands. They are committed to bringing their customers the most innovative and technologically advanced products in the outdoor industry. The average order size is $170. Paragon Sports uses Commission Junction to run their affiliate program. Affiliates receive access to detailed real time performance reporting, full product feed, and trusted third-party tracking. They also provide customizable creative banners and links to fit your site. Affiliates can promote Paragon Sports’ large inventory of outdoor products and benefit from their high average order sizes. Oregon Mountain Community has offered their customers the best in outdoor gear and apparel for over 30 years. Their knowledgeable and friendly staff not only provide great customer service, they also do their own product testing in the mountains of the Pacific Northwest. Their online store carries apparel and gear from some of the top brands like Canada Goose, Arc’teryx, The North Face, Patagonia, Marmot, and many more. They offer a full year return policy and free shipping on orders $35 or higher. The average order value is $200. Affiliates benefit from their great selection of top brands, rock solid customer service, and 100% price matching. Oregon Mountain Community uses AvantLink for their affiliate program management. Performance review and increased commissions are available upon request. No affiliate coupons are needed because all their coupons and discounts are displayed on the product page so there are no confusing restrictions or terms. The Oregon Mountain Community affiliate program is open to communities and review sites. Most other sites will be denied because they want to focus on building the community and not catering to shopping styles. 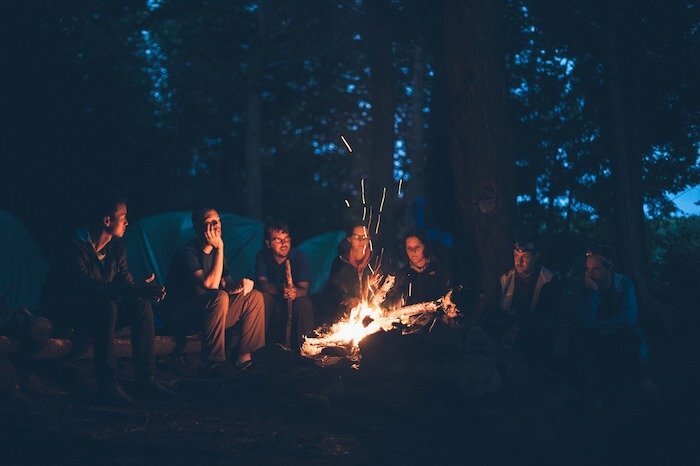 Now that you’ve discovered 10 great camping affiliate programs, it’s time to start thinking about what camping niche you want to target. You could focus on camping cooking gear because most hikers and campers will want to find lightweight and durable cooking tools instead of having to bring their heavy cookware from their kitchen. CampChef has a great selection of outdoor cooking equipment for all types of needs and budgets. Affiliates earn 10% commissions with an average order size of $88. Camping high tech gear is another good niche for campers who are looking for gadgets to make their camping experience more enjoyable. Ramsey Outdoors has a great selection of high tech camping gear. Affiliates receive 8% commissions on sales with an average order size over $80. You could also target essential camping gear for families and write articles and product reviews about what camping tools and gears families should bring on their camping trips. Oregon Mountain Community has all the essential camping tools you need and more. Affiliates earn 8% commissions with high average sales of $200.